A great way of giving a fresh and unique look to your room is adding an attractive looking window treatment. Some of the popular way to add creativity to your window blinds is using multicolored style window blinds that can instantly brighten up even the most boring and simplest of rooms. 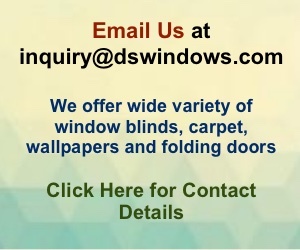 Blinds that are made of slats such as vertical and venetian blinds are one of the most flexible window treatments since you can personally choose which layout and combination of colors to match your own personal taste that can liven up and enhance your room interior design. 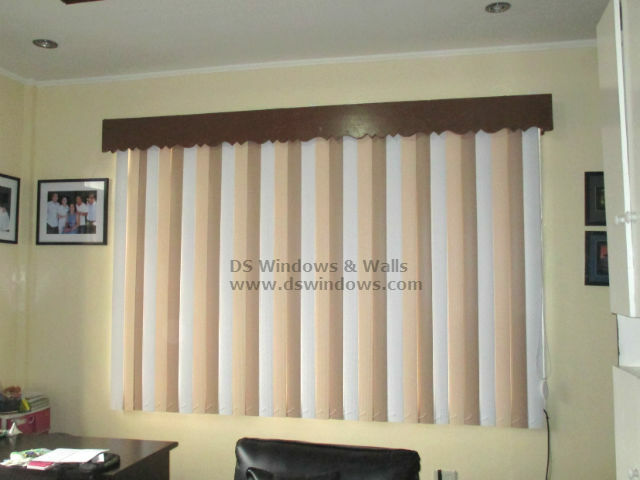 One of our clients in Taguig City chooses to use a tri-color PVC Vertical Blinds (as opposed to the more usual two-toned color) on some of their windows to increase the creativity appearance of the room and boost its energy. They combine white, brown and peach vertical slats in one panel of the windows. Although these colors cannot be expressed as something powerful, they suit our client’s overall room design. It has a touch of class, grace and creativity that match the unique appearance of our client room. Given that our client choose a neutral color to combine for their window blinds in some way it has a stunning appearance that blends perfectly with wall paint, other furniture, and helps to emphasize the focal art piece such as the pictures and portraits hanging in the room. Using three different colors for PVC Vertical Blinds with your personal choice of color combination is a fantastic way to add variety and creativeness in your room and one of the best qualities of Vertical Blinds and that other window treatment can’t offer. Only few window blinds like PVC Vertical Blinds has the opportunity to mix and match different color and design slat in one panel and you can even choose it based on your personal color choice. You can even combine more than 3 colors that is terrific for providing a creative, unique and fabulous window treatment that will surely suit your desired room motif. 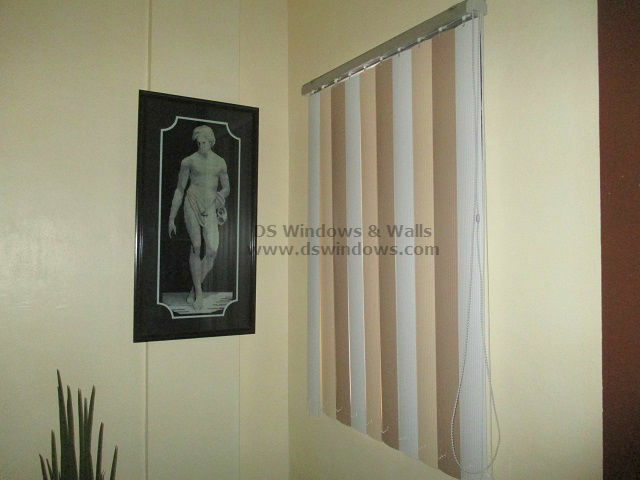 Next articleRoller Blinds for Single Studio Type Pad – Tomas Morato, Q.C.